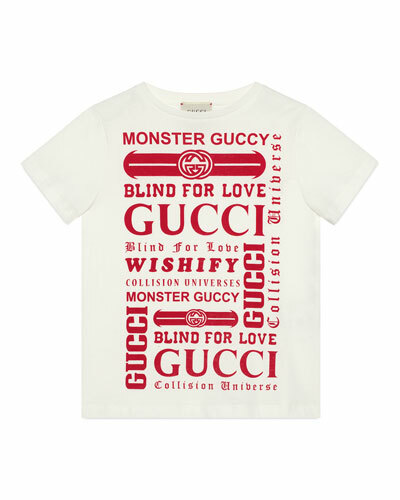 The Italian luxury brand’s playful aesthetic is reinterpreted for its Gucci baby and kids collections in easy-to-wear fabrics. You’ll love dressing your little ones in the cheerful, elegant pieces, designed for active adventures and hours of curious play. 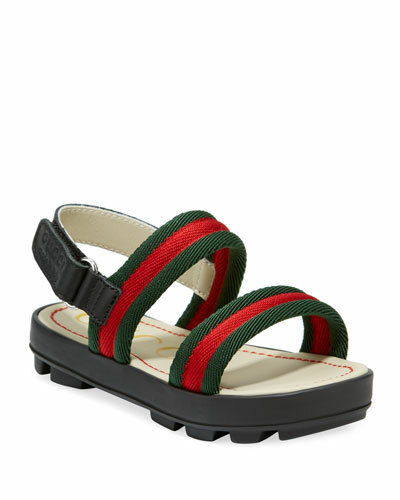 From swimwear and trench coats to tote bags and Mary Janes, Gucci for kids at Neiman Marcus is fit for all occasions. 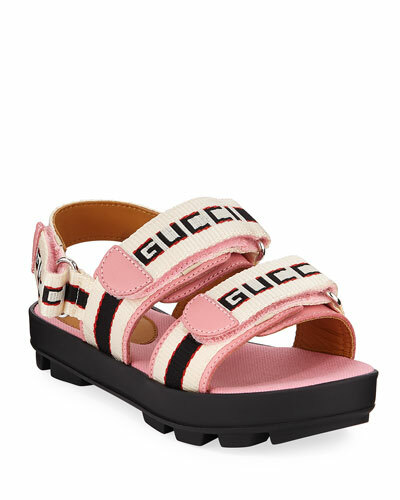 No matter where you spend your days, you’ll find suitable options for children from the incredible design team at Gucci. 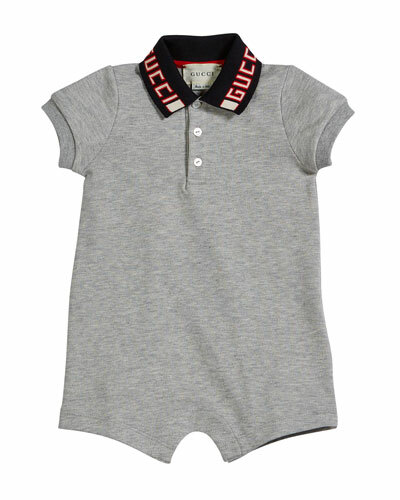 The luxurious selection of detail-focused options include semiformal Gucci baby ensembles for holidays, dinners, or brunches; even everyday cotton rompers feature contemporary flair with stylized accents and chic curated colors. 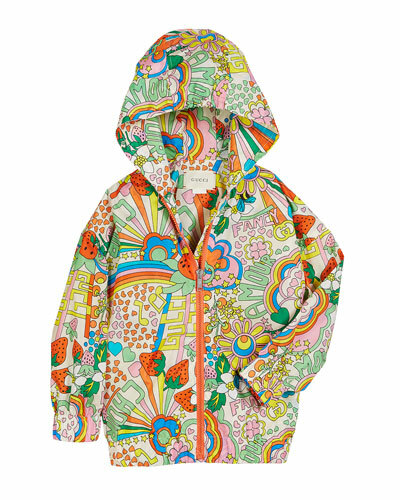 For older children, look to pieces perfected for play: comfortable, easy-to-style closet staples of relaxed fits and charming motifs. 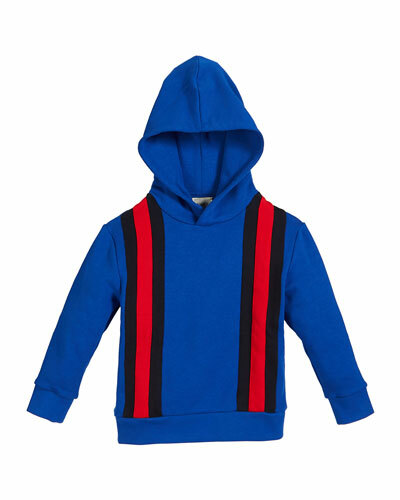 Gucci kids are perpetually stylish in a colorful expanse of miniature high fashion. 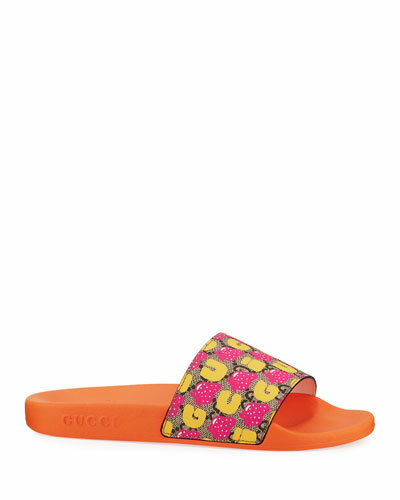 Shop the lighthearted world of Gucci for kids at Neiman Marcus. Gucci denim bomber jacket. Banded collar with ribbed web trim; button front. Long sleeves. 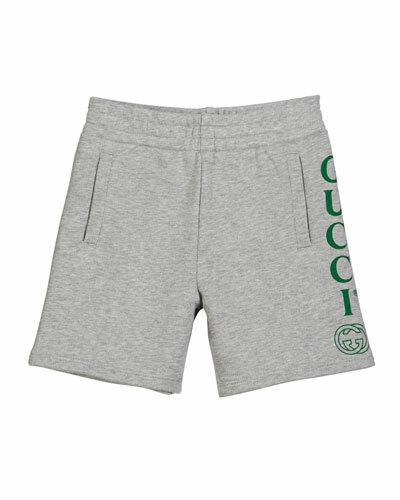 Slit pockets at waist. Relaxed fit. Gucci denim bomber jacket. Banded collar with ribbed web trim; button front. Long sleeves. Slit pockets at waist. Relaxed fit. Ribbed web-trim hem and cuffs. 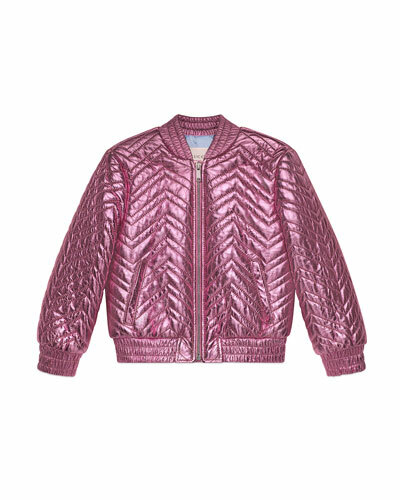 Cotton/polyester/polyamide. Made in Italy. 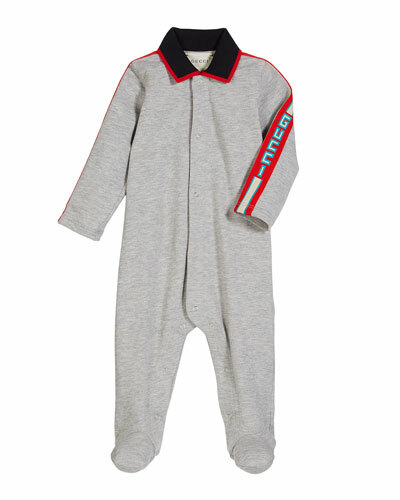 Gucci footie pajamas with Web piquet lace effect trim at front. Crew neckline; button back. Long sleeves; ruffle trim at shoulders. Snaps through legs. Footed silhouette. Cotton/spandex. Made in Italy.